This range of twelve-way, locking IEC outlet, AC mains power distribution panels with a 20 amp Powercon inlet is housed in a compact 1U rackmount case. 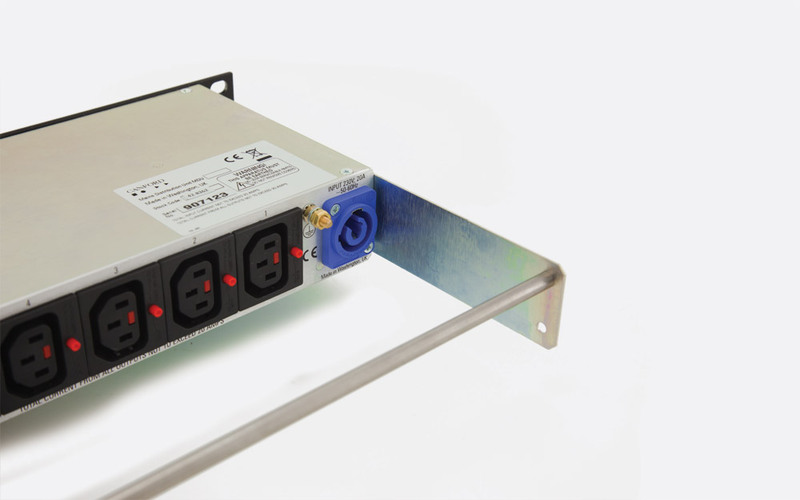 All versions have on the front panel an illuminated power rocker switch or an un-switched neon power present indicator, fuse and dual LED indication of power status for each of the output channels. Inlet and outlets are on the rear panel. The front panel has an illuminated switch or un-switched neon indicator, independent outlet fuses with status indicators. 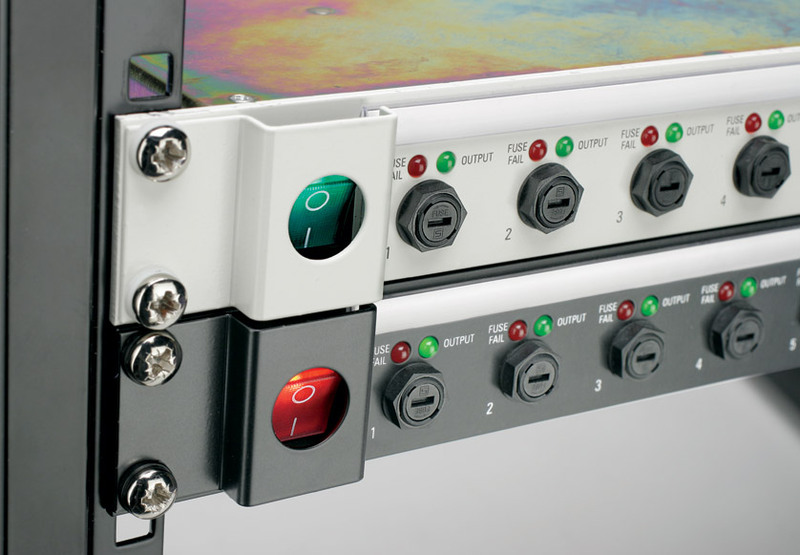 The rear panel has a 20 amp Powercon locking inlet and twelve 10 amp Iocking IEC outlets ('IEC-Lock' type). An earth stud is fitted. 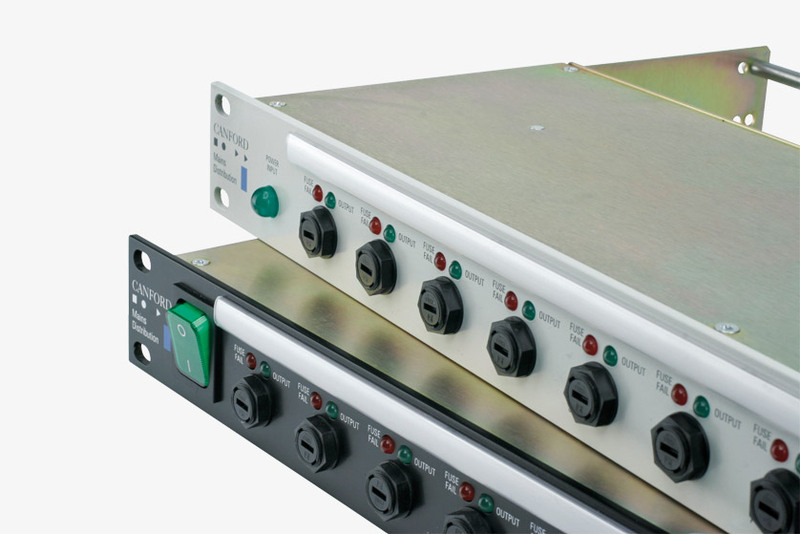 All types are available finished with Dawn Grey or Black front panels, with either red or green illuminated switch or 'input power present' neon indicator on the front panel. Note: Switched versions - maximum total switched load: 16 amps. 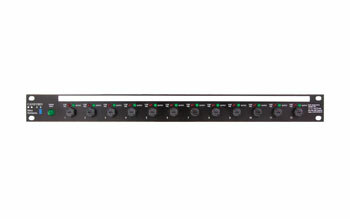 Un-switched versions - maximum total load: 20 amps. 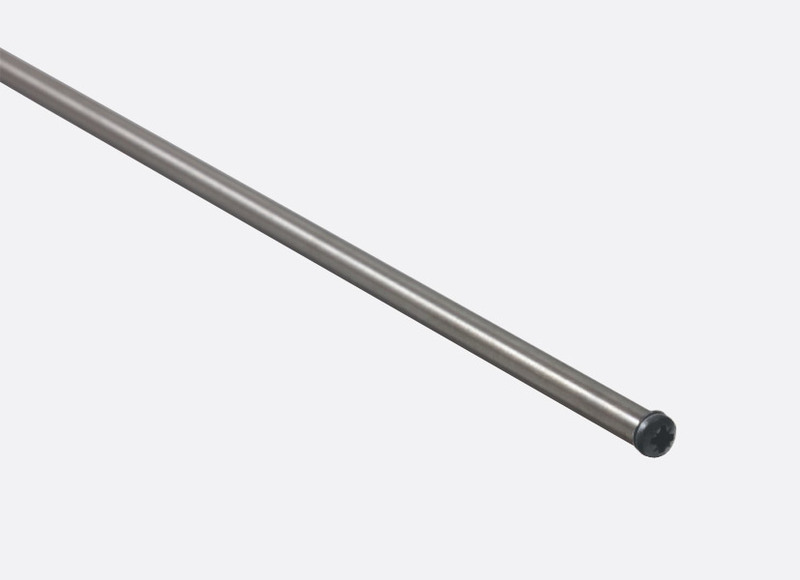 Locking, moulded, mains leads: Patented, locking IEC leads, see AC Mains Power Leads - IEC-Lock see AC Mains Power Leads - IEC-Lock+.